There are a couple misconceptions about debt that we answer questions about frequently. The first is that paying down debt is deductible. The second is that gain on the sale of an asset is the difference between the sales price and the amount owed on the asset. This post will address these two misconceptions. Paying down debt is not deductible—debt is tax free when you borrow it, and it is not deductible when you pay it down. The tax deduction occurs when you spend the debt proceeds on deductible items. Example: Zoogle, Inc. borrows $100,000 from a bank. It spends $50,000 on operating expenses such as payroll, advertising, and supplies; and $50,000 for equipment. Zoogle does not recognize taxable income when it borrows the $100,000 because it has to pay the money back. Zoogle deducts $50,000 when it pays the operating expenses, and depreciates the other $50,000 paid for equipment over a number of years. While Zoogle can deduct interest payments on the debt, it cannot deduct principal payments. Doing so would lead to a double deduction—first when the debt proceeds are used to pay for expenses, and second when principal payments are made. It is a common misconception that gain on the sale of an asset is the difference between the sales price and the amount owed on the asset. For example, Terry owns a rental property she bought in 1990 for $140,000 with $30,000 cash and a $110,000 mortgage. In 2004, the property was worth $200,000 and Terry borrowed $60,000 against the home. It is now 2013 and Terry sells the property for $180,000. After years of principal payments, Terry’ debt balance on the property is $170,000. Terry believes her taxable gain is the difference between the sales price of $180,000 and what is owed on the property–$170,000, which is a $10,000 gain. However, her actual gain is the difference between the sales price and her original cost of $140,000 for a gain of $40,000. In this example, Terry believes her gain is only $10,000 because this is the amount of cash she receives after the debt is paid down with sales proceeds. By borrowing against the property in excess of its original cost, Terry effectively received prepayments of the sales prices when she borrowed against the property. She pays tax on this prepayment when she sells the property. If the debt balance could be used to reduce gain, someone could simply cash out tax-free by borrowing against the asset to its full market value, and then sell the property for no taxable gain. Gambling income, unsurprisingly, is subject to income tax. This post is an overview of federal and Michigan treatment of gambling income and losses. On your federal income tax return, you can take an itemized deduction for gambling losses, but only to the extent of gambling income (in other words you can’t claim an overall loss on gambling activity). Example: John likes to play blackjack and had winnings of $40,000 in 2009. He also lost $90,000 in the same year. John has to report his $40,000 winnings as income, but he can only deduct $40,000 of his gambling losses because gambling losses are limited to gambling winnings. Excess gambling losses cannot be carried forward. It should be noted that taxpayers must itemize to claim gambling losses. Example: Joan won $4,000 in the lotto in 2009. She also lost $5,500 in other gambling activity during the year. If she does not itemize, she has to claim the $4,000 in income and cannot deduct the $5,500 in gambling losses—not a good result. Even though the itemized deduction for gambling losses can offset gambling income, it is a below-the-line deduction (i.e., it is taken after computing AGI). AGI is used to calculate various phaseouts for credits and deductions. 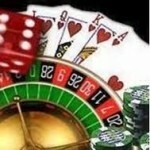 Therefore, gambling income may affect your phaseouts even though they are offset by gambling losses. In Michigan, gambling income is based on the amount of gambling winnings included in federal AGI (the bottom line of the first page of your Form 1040) without taking into account the itemized deduction for gambling losses. So, in the above examples, John has $40,000 in gambling income on his MI-1040 and pays $1,700 in tax and Joan has $4,000 in gambling income on her MI-1040 and pays $170 in tax even though both John and Joan had overall gambling losses. Generally, gambling winnings and losses have to be determined on a wager-by-wager basis. For causal gambling (slots, poker, blackjack, horse racing, etc.) you can determine gambling winnings and losses on a net daily basis. By figuring gambling income on a daily basis (rather than wager-by-wager) gambling winnings are directly offset by gambling losses (and thus become excludable from Michigan income tax). Example (wager-by-wager basis): Jimmy goes to the casino on Friday and buys $1,000 in tokens to play slots. He has $9,000 in winning spins and $6,000 in losing spins. He cashes out on Friday with $3,000. Jimmy wants to continue his winning streak on Saturday. He buys $4,000 in tokens. This time Jimmy has $1,000 in winning spins and $5,000 in losing spins. He leaves the casino with nothing. On a wager-by-wager basis, Jimmy has $10,000 in winning spins over the two days and reports this amount as income. Jimmy has $11,000 in losing spins over the two days and deducts his losses as an itemized deduction (limited to the $10,000 in gambling winning). However, on Jimmy’s Michigan tax return, he must report the $10,000 as income, but cannot take a deduction for gambling losses. Same Example (daily basis): Jimmy’s daily gambling winnings and losses are netted. Jimmy has overall income of $2,000 on Friday (Cash Out: $3,000 & Cash In: $1,000) and an overall loss of $4,000 on Saturday (Cash Out: $0 & Cash In: $4,000). On a daily basis, Jimmy had $2,000 of gambling winnings on Friday and $4,000 of gambling losses on Saturday. On his federal return, he must report $2,000 of gambling winnings and gambling losses of $2,000 (again, the itemized deduction for gambling losses is limited to gambling winnings). On his Michigan return, he only reports the Friday daily winnings of $2,000. LLC and S corporation owners can only deduct losses to the extent of their basis in the business. Additionally, LLC and S corporations can generally take tax-free distributions out of the business to the extent of their basis. While basis is a critical concept in tax law, it is not defined in the Internal Revenue Code or in Treasury regulations. Basis is basically your investment in a business (i.e., the amount you “put into” the business). To generate basis, you have to incur some type of actual economic outlay. You cannot deduct losses in excess of your basis in the business. Any distributions that exceed your basis in the entity are taxed as capital gains. Basis is therefore advantageous and should generally be maximized. Owners of LLCs and S corporations can generate basis by contributing cash, property, or providing services to the entity (although contribution of services will generally be taxable). Owners of both types of entities can also generate basis by loaning funds directly to the entity. However, LLCs and S corporations differ in how they treat loans from third parties (e.g., bank loans). LLCs allow their owners to increase their basis for their shares of third party debt. The shares of debt allocated to each member are based on whether the debt is recourse or nonrecourse. Nonrecourse debt is debt that owners are not personally responsible for—the lender’s only remedy is to repossess any assets securing the debt (they cannot collect any deficiency from the owners). Nonrecourse debt tends to involve real estate. Recourse debt is debt that owners are personally responsible for. Recourse debt is allocated to owners that are personally responsible for the debt. For example, if one LLC member personally guarantees a debt and has no right of contribution from the other owners, that LLC member’s basis will be increased by the full amount of that debt. If all LLC members personally guaranteed the debt, each of their basis would be increased equally by their proportionate share of that debt. Nonrecourse debt is allocated based on a complicated three-tier allocation method. Very basically, nonrecourse debt is allocated based on the member’s shares of profit. S corporations only allow basis for loans made from owners to the S corporation; they do not allow owners to increase their basis for their shares of loans provided by third parties such as banks or other lenders. This is true even if the owners personally guarantee the debt. Tim and Todd form an LLC. They each contribute $10,000 in cash to the LLC. Tim loans $5,000 to the LLC. The LLC borrows $20,000 from a bank that Tim and Todd personally guarantee. If Tim and Todd instead formed an S corporation, their basis would not be increased by their shares of the bank loan. As you can see, if they operated as an S corporation Tim and Todd’s basis would each be $10,000 lower because they do not receive basis for their shares of third party debt. If they operate as an LLC, each of their basis would be $10,000 higher. This higher basis would allow them to take $10,000 more losses or receive $10,000 tax-free distributions. Bottom line: if the business will have substantial 3rd party debt and the owners want to recognize losses, the LLC form of business is worth looking at. Beginning in 2013, there is a 3.8% Medicare tax that applies to net investment income of individuals, estates, and trusts. Net investment income includes interest, dividends, annuities, royalties, rents, and certain business income. The tax applies to business income (including gain on the sale of these businesses) when the owner does not materially participate in the business (i.e., the business is a passive activity and the owner’s involvement is more similar to an investor rather than to an active business owner). The tax also applies to businesses dealing in financial instruments or commodities. The tax applies to the lesser of (1) net investment income or (2) the excess of modified adjusted gross income over a threshold amount ($250,000 for joint files, $125,000 for married filing separately, and $200,000 for other filers). The exemption from the 3.8% Medicare tax applies to both actual and deemed distributions. Actual distributions are amounts “actually distributed” from a qualified plan or arrangement. It is important to note that while retirement income is not subject to the 3.8% Medicare tax, it is taken into account for purposes of determining whether the taxpayer’s modified adjusted gross income is high enough so that the taxpayer’s other investment income becomes subject to the tax. Example: John, age 65, is single, has wages of $150,000, takes an IRA distribution of $60,000, and has interest and dividend income of $20,000. The threshold amount for a single person is $200,000. Even though John will not pay the 3.8% Medicare tax on his $60,000 IRA distribution, it is still taken into account to determine if John’s modified adjusted gross income meets the threshold income amount. John’s modified adjusted gross income equals the sum of all his income–$230,000. John will therefore pay the 3.8% Medicare tax on $20,000. The tax will be $760. Renting Out Property? Avoid the 3.8% Medicare Tax. Beginning January 1, 2013 there is a 3.8% Medicare tax on net investment income. The tax applies to the lesser of (1) net investment income or (2) the excess of modified adjusted gross income over a threshold amount ($250,000 for joint files, $125,000 for married filing separately, and $200,000 for other filers). Net investment income includes gross income from interest, dividends, annuities, royalties, and rents unless derived in a trade or business to which the 3.8% Medicare tax does not apply. A passive activity is one in which the taxpayer does not materially participate. A taxpayer may establish that she materially participates by working more than 500 hours per year in the activity. There are also other ways of establishing material participation, but the 500 hour method is the most used. Additional exceptions apply. If the taxpayer can meet one of these exceptions, the rental activity will not be treated as a passive activity. Devote More Time to the Activity. Consider Hiring a Competent, Qualified Person to Operate the Activity. Employing someone else to operate the activity accomplishes several goals: (a) it shows that the taxpayer is relying on others for their expertise; (b) it gives the taxpayer an opportunity to expand the activity and earn more income; and (c) it reduces the amount of personal pleasure and recreation derived from the activity. The past few years, Congress has allowed tax credits for energy efficient home improvements. In 2009 and 2010, the tax credit for building envelope and qualified energy property (discussed below) was equal to 30% of qualifying expenses up to a $1,500 credit. The $1,500 tax credit for building envelope and qualified energy property was set to expire in 2010. Congress extended these tax credits through 2011, but substantially reduced the amount of the credits. With the Taxpayer Relief Act of 2012, these credits have been retroactively reinstated for 2012 and are extended through 2013. However, the lower credit amounts of 2011 were extended, not the more generous credit amounts of 2009 and 2010. There is a separate tax credit for alternative energy products (solar, wind, geothermal) that was, and still is, equal to 30% of such expenditures without limit. This credit hasn’t changed over the last few years. It is important to note that these credits only apply when such property is installed in your principal residence. For building envelope components, the credit is allowed only for amounts paid to purchase the components (i.e., the credit is NOT allowed for onsite preparation, assembly, or original installation). The credit for qualified energy property is allowed for amounts paid to purchase the property as well as for onsite preparation, assembly, or original installation. In 2011 through 2013, there is a lifetime maximum nonbusiness energy property credit of $500 ($200 for exterior windows and skylights), taking into account all such credits allowed to the taxpayer for years ending after December 31, 2005. This limit includes credits for building envelope components and for residential energy property. Clear your mind of the above rules. This is a completely separate credit. This credit never expired and hasn’t changed recently—I just included it here as a review. The rule for this credit has not changed from prior years—the credit is still equal to 30% of the costs of such property without limit. This credit is allowed for amounts paid to purchase the property as well as for onsite preparation, assembly, or original installation. This credit applies when the property is installed in your residence (the statute does not require it to be your principal residence). It is therefore possible that you can claim a credit for this credit on a vacation home (although it would be best to wait for IRS guidance on the issue). Both the credit for nonbusiness energy property and credit for residential energy efficient property are nonrefundable credits that can be used to offset both regular tax and alternative minimum tax. One final note—taxpayers may rely on written manufacturer certifications that the property is qualified for these credits.